With long, wide solid wood planks, up to 15 metres in some cases, a Dinesen project requires understanding and planning. 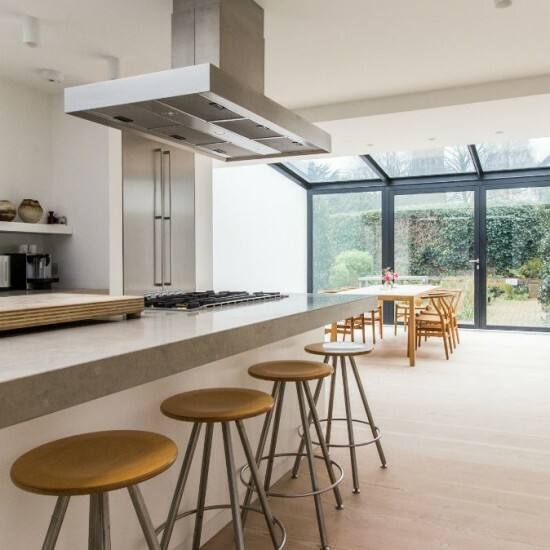 We have Dinesen installation and finishing experience gained over 10 years, and will advise on planning, underfloor heating, scheduling, fitting and finishes, with maintenance advice also provided. Everyone at Roger Hyde Limited has practical flooring knowledge to understand and communicate improvements; we pride ourselves on remaining up to date with installation and finishing specifications. Dinesen wide, long planks are one of the most popular floor types, bringing the Scandinavian trend to life in your building. 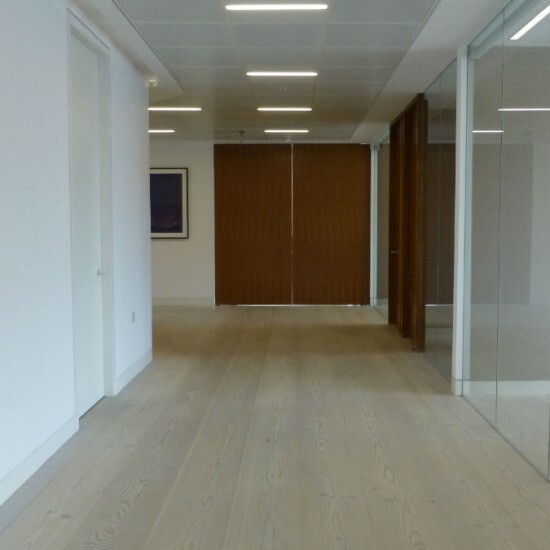 Contact us now for practical advice, before you start your project, for all considerations on installing Dinesen flooring, to include over under floor heating, or re-finishing your existing floor. 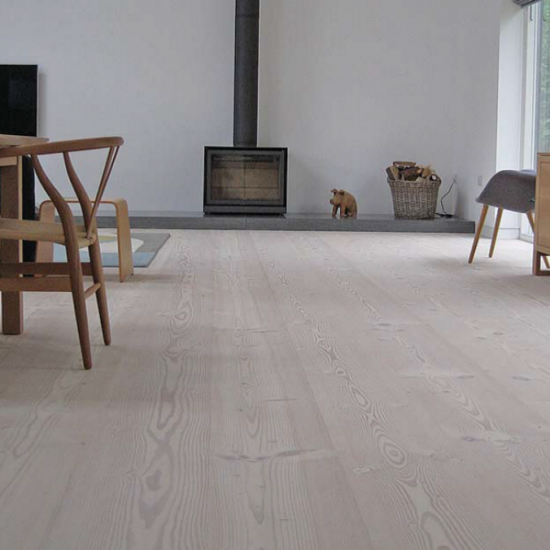 Why choose Dinesen and Roger Hyde Limited? We believe it is essential that the right maintenance advice is communicated to you. The cleaning and maintenance of your Dinesen floor should be simple, and we are happy to explain how this can be achieved. As part of our installation and finishing process, we take the time to show you how to keep your floor in the best condition, and are always available for free, on-going advice. We have found that through our experience that it’s the attention to the smaller details that ensures a successful installation, so that the floor can be enjoyed for years come. Checking and monitoring of site conditions. Planning of the logistical challenges of unloading, distributing and installing very long boards. Checking threshold perimeter details and subfloor build up. Communication with customer throughout project. Trained flooring technicians who are used to working with this gorgeous material. Hand checking all boards on site. Solid oak and Douglas fir boards. Very long and wide boards. We hope that working with us is easy. Your project is important to us. 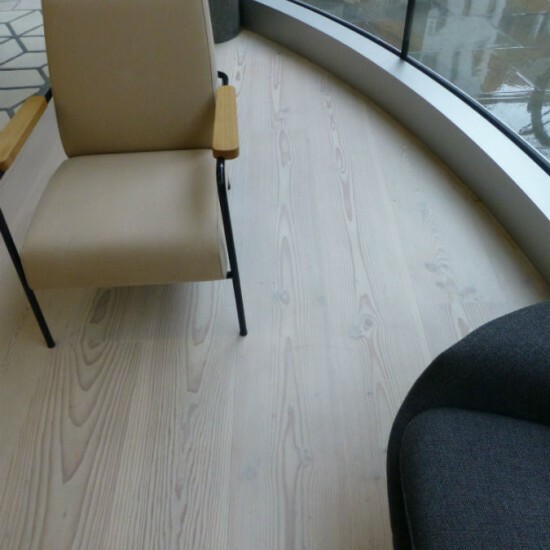 We look forward to assisting you so your Dinesen floor is completed on time and on budget.